with a Pre-Holiday Sale on October 28, 29, and 30. 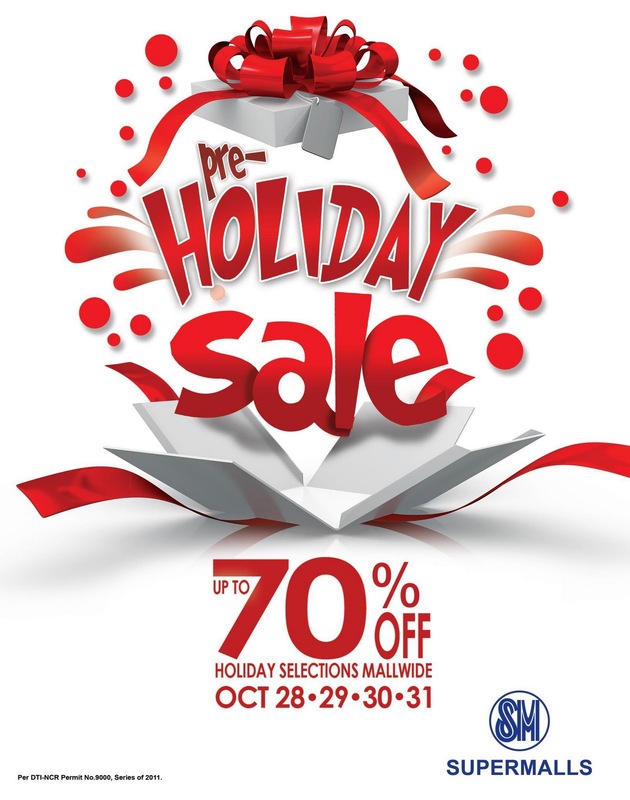 Up to 70% on Holiday Selections Mall-wide. Let’s have happy times, good cheers are here, let’s have some greetin’ and kissin’ my dear. Let’s have the Christmas ChriSMs all, shoppin’, shoppin’,shoppin’ at SM Malls!